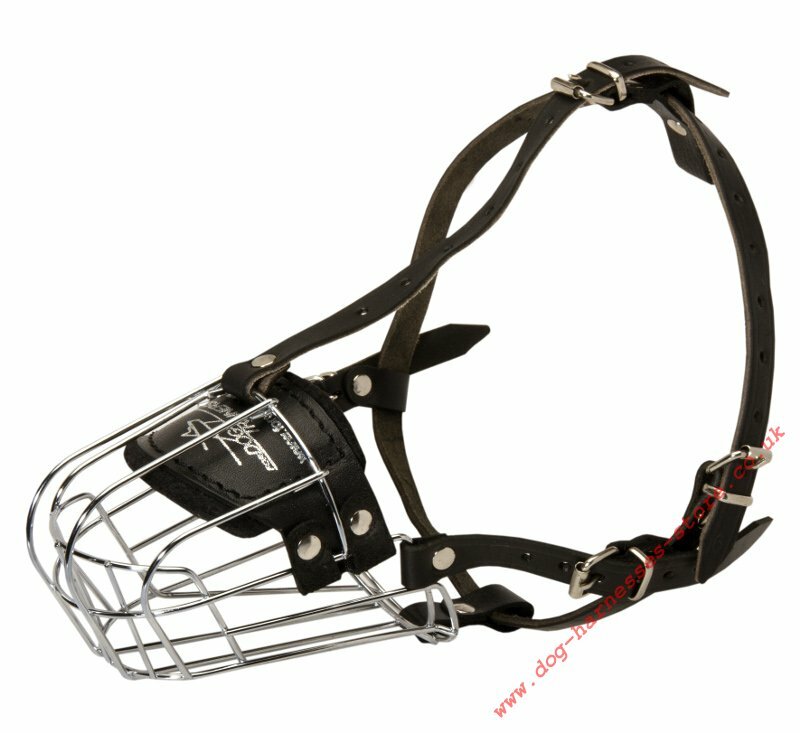 Wire dog muzzle that we produce fits practically all dog breeds. 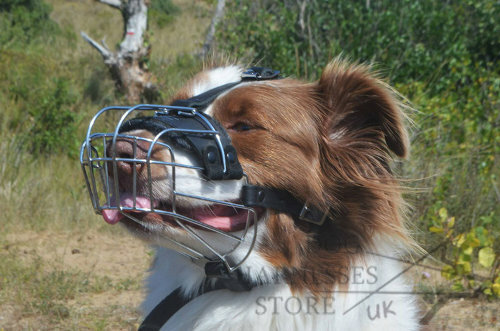 This new cage muzzle model allows your dog to breath, to bark, to drink and to open mouth while the muzzle is on!!! 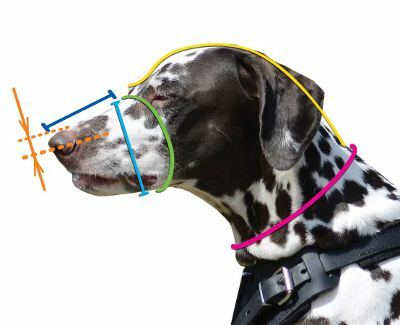 Perfect muzzle for dogs! 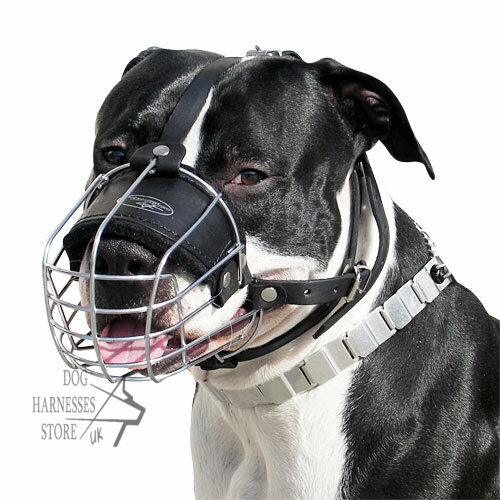 This universal, well-fitting, comfortable muzzle is based on special strong metallic construction to maintain the shape and to assure the long life. 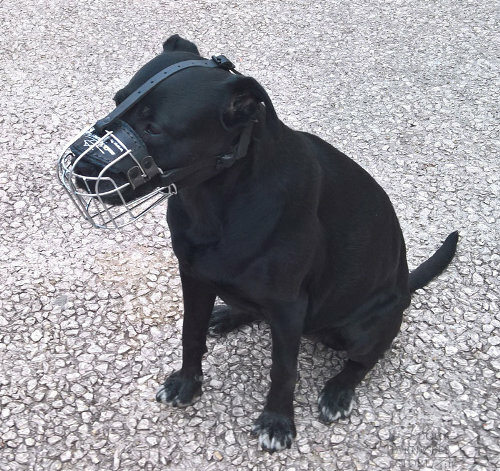 Felt-padded nose touch point eliminates unpleasant feelings while walking in this basket dog muzzle. 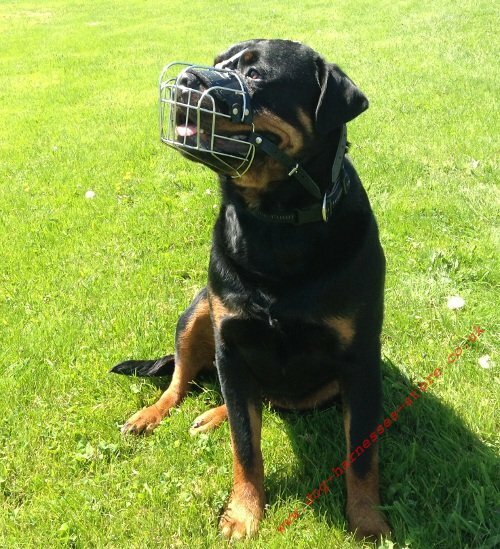 Choose maximum safe and convenient muzzle at affordable price form the producer directly! Wire cage and buckles of this muzzle are made ofwell-polished chrome-plated steel to resist wet, strain and to keep initial shiny look of the item. 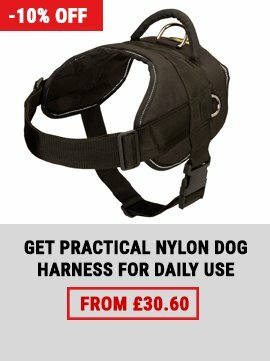 Adjustable straps will help to fit the muzzle size. 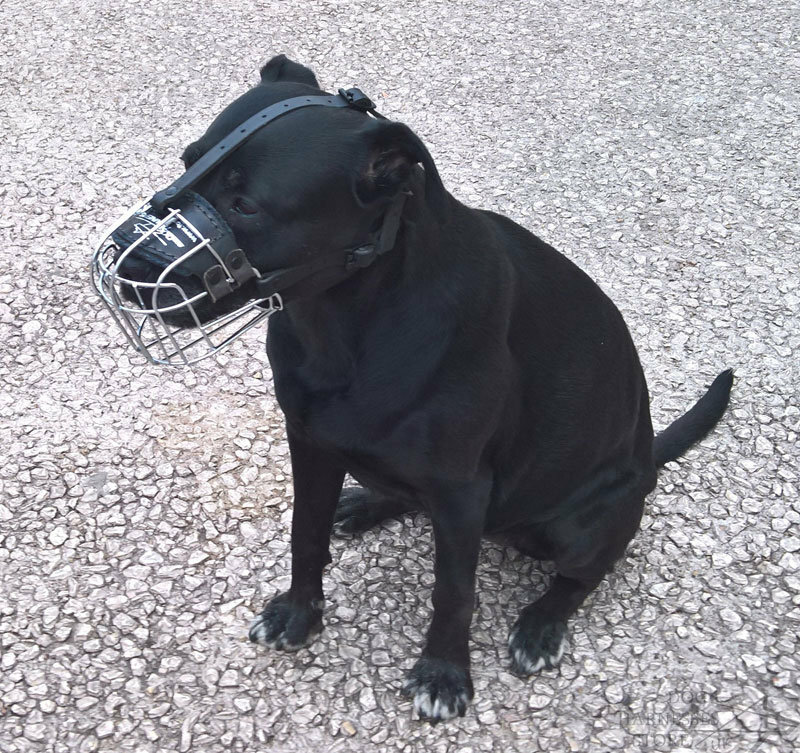 They are reliably fixed on the dog's head to avoid taking the muzzle off with paws. Every strap is of genuine leather with polished edges. You can order this wire dog muzzle with quick-release buckle for your convenience. 1. Dear Sir or Madam, we are well-pleased with the delivery. The dog muzzles are of high quality and fit well. The price is reasonable. We've already recommended you. 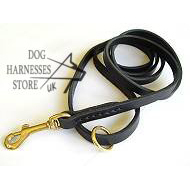 We want to order a dog harness for our Rottweiler soon. 2. Dear Helena, we received all the dog products as expected and all they meet the requirements of price, quality and effectiveness. Now we should train our Akita to say whether it's all on the higher level. First impression is very positive at least. You'll certainly hear from us. With warmest regards from the suburb of Berlin. 3. Hi, the muzzle arrived last week. It fits very well. The quality is excellent. 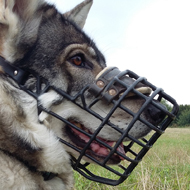 Here are photos of Wylie in his new muzzle. Thanks! 4. 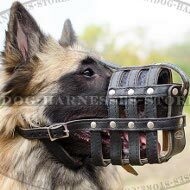 Hello, I received the muzzle I've ordered for my service dog today. This is the first muzzle that matches my dog perfectly! Super! Kindest regards. 5. Thank you for the quick reply. 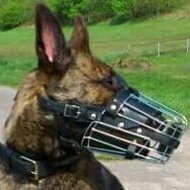 The muzzle arrived on Friday and it seems to fit well. Regards. 6. 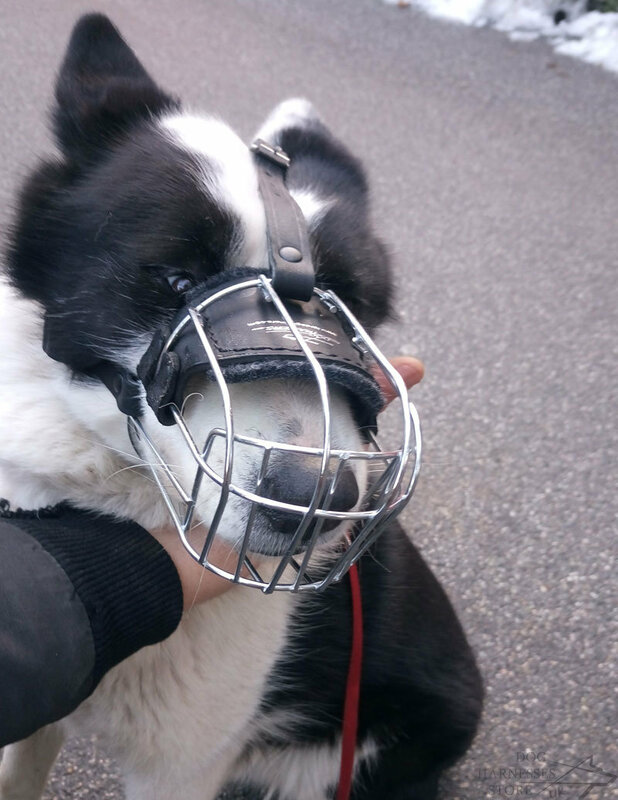 I've received the muzzle without additional pay and I would like to thank you for your efforts. My dog likes the muzzle as well as I. It makes an excellent impression. The processing is also perfect. Delicate regulation with many straps should be also mentioned, but it's very easy. Best regards. 7. Hello, sorry for my late response. We received the muzzle two days ago. If fits perfectly. Thank you very much for top service! 8. 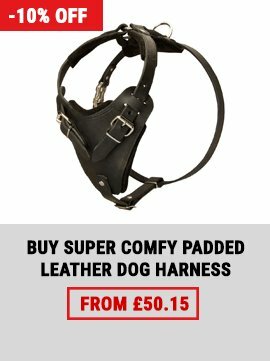 Hello, dear Dog Harnesses Store team! My boy Boerboel Barack has almost got used to the collar. It's not very pleasant that the muzzle is too close to the back of the nose. 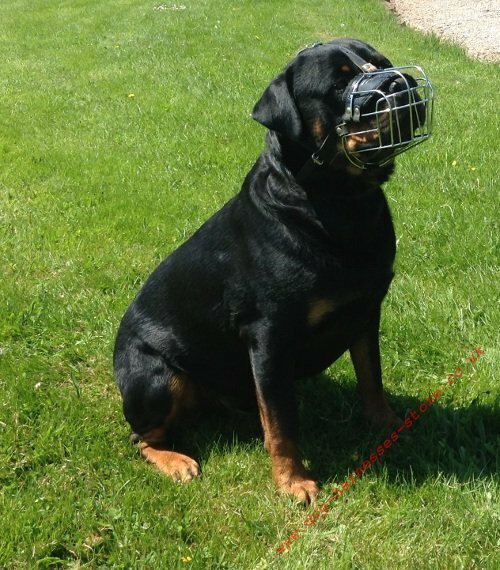 The muzzle interferes vision a bit because of the dog's deep-set eyes and he ran often with his neck down to look upper the muzzle's line. But now everything fits well. I send you a photo for your gallery. Best regards! 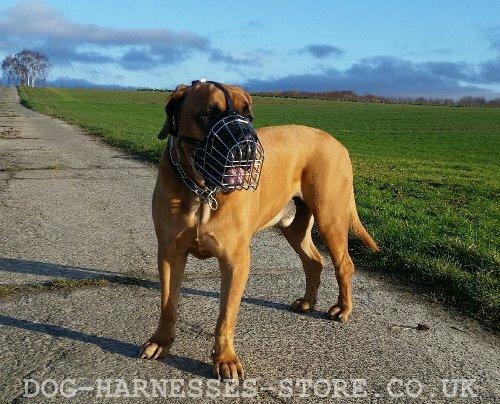 See our wide range of dog muzzles - the best choice in the UK! 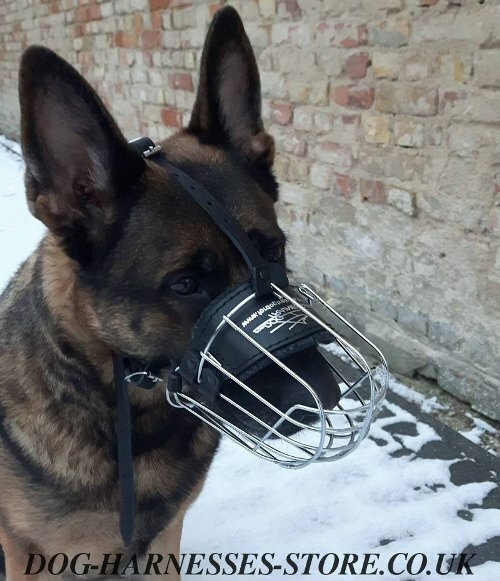 I received the muzzle I've ordered for my GSD. Perfect fit, excellent materials and processing. Your article about barking dogs was very interesting also. Many thanks. I'll recommend your store certainly. Very many thanks. The part of the parcel was shipped yesterday and the muzzle is ideal! It is of the same size as an old one. 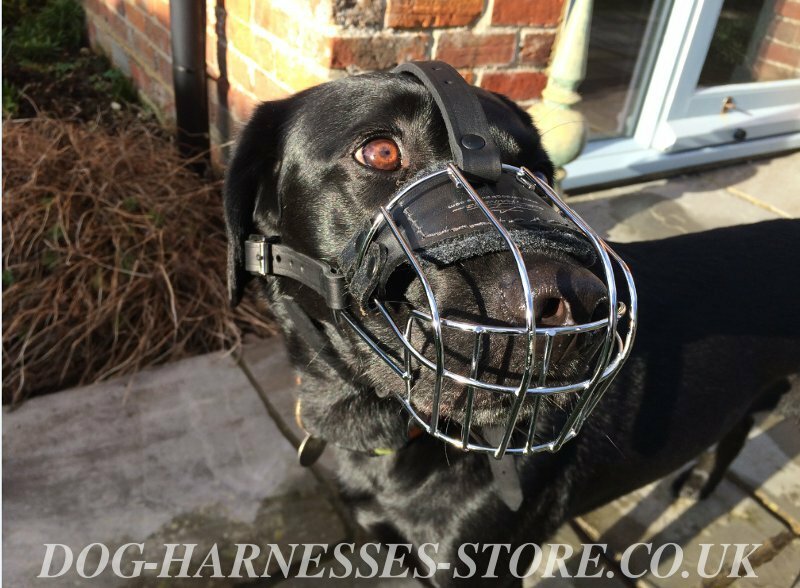 The muzzle is easy to put on and of thanks to quick-release buckle. It can be adjusted to make a perfect fit by many ways. 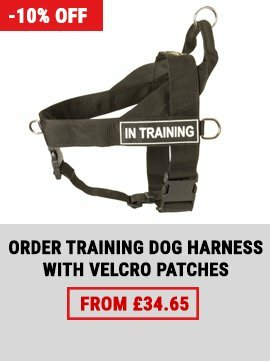 The strap, which goes between the dog's eyes, provides additional security.